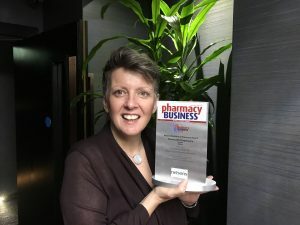 The Health Dispensary just won Natural Healthcare Pharmacy of the Year 2018 at the Pharmacy Business Awards in London. A glittering gala night at The Park Plaza London was compered by Charlotte Hawkins of ITVs This Morning’s breakfast show. Attended by many distinguished guests the shadow Secretary of State for Health Jon Ashworth thanked Pharmacy for their contribution to NHS work in its 50th anniversary year. Supported by Nelsons Health, owner Ali Sparkes collected the award and said she was delighted to be collecting the only award for Wales and her hometown of Neath.